A worthy follow-up of the 2007, the 2007 Castillo Ygay Gran Reserva Especial will be released in late 2015. This is a cuvée of mostly Tempranillo with the balance of Mazuelo (Cariñena), a very important grape for Castillo de Ygay in percentages that vary depending on the vintage, and it's almost 15% in 2007. 2007 was not an easy vintage and in Ygay they had a terrible mildew attack and they lost 50% of the bunches. It's a cold, rainy year, but because of that circumstance the wine is concentrated. 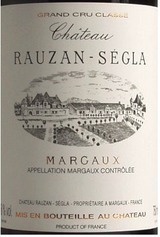 This is still a baby, long and with depth and tannins that should melt in a couple of years. Compared with the 2005 it is fresher, perhaps not as concentrated, but for me the extra freshness compensates and puts it at a very similar quality level. And the rule of thumb is to wait at least ten years after the harvest to start uncorking any Castillo de Ygay. Cheap it is not, but very good value it is, for the quality it delivers. 110,000 bottles were produced. 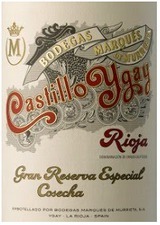 There will be no Castillo de Ygay in 2008, but there will be 2009, 2010 and 2011. That's something exceptional to have three vintages in a row.